After coming back of holiday myself has been looking forward to seeing something on the doorstep which is the ‘Jack Wills Autumn/Winter 2013 Handbook’ however, when I got home no Handbook on the mat ah well I was looking forward to flicking through to seeing what I can snap up for college etc. 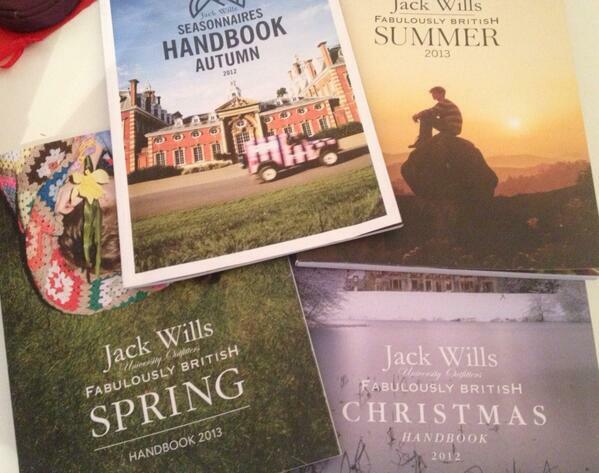 According to Jack Wills customer service in order to receive the seasonal term Handbook you have to be 18 or over to receive it by mail. This change has been made by the brand directors so it is unchangeable unless they make a change since, this brand is having to update their system with consumers date of birth to make sure the customers are the right age to get the handbook. Even after myself actually typed out that I work alongside their Halifax store (in which I do) through brand awareness, highlighting special offers to events amongst the attachment of my blog’s media kit and examples of my work with stores, brands, designers etc. I did not anywhere. All because I’m 16 going on 17 and not old enough (yet I got accepted to London fashion week & everything on top). If you’re under 18 years of age who would like to get the handbook the brand’s customer service has suggested that you ask a parent or older sibling who is above the 18 or above to sign up at www.jackwills.com with their personal details and then a handbook will be sent to you. I hope this help’s if you have not received the handbook yet and if not contact their customer service here.